Pre-orders for Noise Receptor Journal Issue No.5 starts now! PRE-ORDERS FOR NOISE RECEPTOR JOURNAL ISSUE No.5 STARTS NOW. The new has just been submitted to the printer, with a target release date of 16th October. 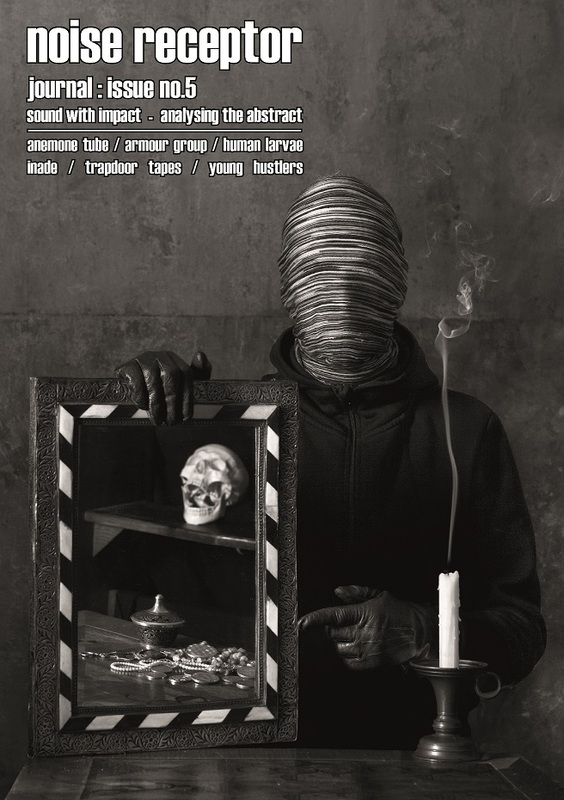 I am proud to be able to reveal the cover of Noise Receptor Journal Issue no.5. The new issue is currently in the final stages of production and will be released in October. Pre-orders and details of international stockists will be announced in coming weeks.